Commissioner Steve Morris, elected to the Board of Commissioners in 2012, became chair in 2014. He owns and operates The Gem Theatre in Kannapolis. He has lived in Cabarrus County his entire life, growing up in Kannapolis and currently residing in Concord. 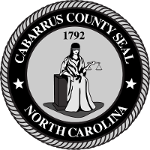 Morris served on the Board of Directors of the Cabarrus Regional Chamber of Commerce and is a past chair of the board. He is a charter member, past president and Paul Harris Fellow of the Cabarrus Rotary Club. 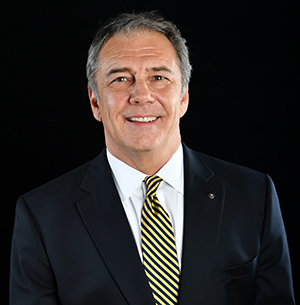 He serves on the board of directors of the Academic Learning Center, the Cabarrus Partnership for Children, the Cannon Memorial YMCA, the Cabarrus Board of Health and serves on the Board of Trustees of Rowan Cabarrus Community College. Morris’ previous community involvement included board leadership for the American Red Cross, Cabarrus County Chapter; Cabarrus Advisory Board; Friends of the Kannapolis-Cabarrus Library; Kannapolis Chamber of Commerce; Kannapolis Economic Development Corporation; and the Kannapolis Kiwanis Club. He also served as a board member for the Barber-Scotia College Board of Visitors; Cabarrus Library System; Cabarrus Economic Development Corporation; Piedmont Preservation Foundation; Residents of Historic Concord; and United Way of Central Carolinas. The Cabarrus Regional Chamber of Commerce honored Morris as their 2012 Citizen of the Year. He is a graduate of A. L. Brown High School, attended NC State University and received a Bachelor of Arts degree in Business Administration from The University of NC at Charlotte. He is a member of Trinity United Methodist Church in Kannapolis and father of two adult children, Mallory and Hunter.